In 2016, Connie and I bought a small place in Eastern Oklahoma, right by the Arkansas border, and we moved here from Colorado Springs in the summer of 2017. We're fixing up the house and will build a new barn soon. My new studio is almost completed; Connie is painting the trim as I type this. 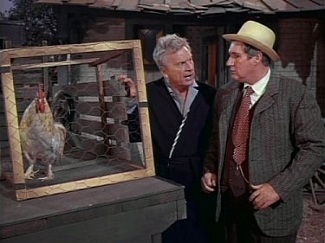 As for the rest of the place, do you remember the old CBS TV show Green Acres, starring Eddie Albert and Eva Gabor? This property is quite a bit like that. We definitely bought ourselves a huge project. Fortunately, Connie and my youngest brother Michael have a lot of experience fixing up and maintaining older homes. Michael is a US Marine Corps veteran of the Gulf War and a mechanic by trade who has excellent construction and maintenance skills. He's lived in a rural area of the Ozarks for many years, and knows how to repair water wells, among other things. Connie has a terrific toolbox and is quite willing to get her hands dirty. She's been working very hard to build my new studio and fix up our home and gardens. We moved here with a young tomcat named Fluffy Jo that we raised from a kitten, and for a while we had two nanny goats, Penny and Lilly, who helped us clear the wild parts of this property. Jo has been a very good mouser, and he even got a mole a few times. He's killed a bird and a couple of frogs, too, but we forgave him. Connie grew some organic vegetables this past summer, and we're starting to grow a lot more this year. We've reached a point in our project where we're pretty comfortable and we like being here. The reason we moved to Oklahoma is simple. Connie has always dreamed of owning her own place where she could set things up the way she likes and grow her own organic food. Even though we owned some wonderful land in the Southern mountains of Colorado, Connie's dream couldn't possibly become a reality there. This place is much more suitable for agriculture; it's warmer, much wetter, the growing season is longer and the soil is better. It's really a different world down here. We both love Colorado, but after almost 50 years of calling Colorado home, I'm ready for this new adventure. I've taken the initiative to design and build some native stoneworks: A sidewalk, a small stone bridge and some stairs. 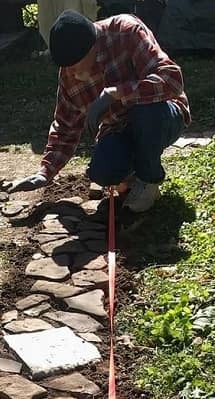 Because of the unique geologic history of the Ozark Mountains, I've found all the pavers and other flat rocks I needed on our own property. Our little piece of paradise is situated between a two-lane blacktop and a good size creek, which forms the longest side of our property's boundaries. It's beautiful country, very much alive. We have bears, bobcats, beaver, deer, coyotes and armadillos, for instance. The forest and rivers are primordial, reminding us of our beloved rain forests in Panama in many ways. We have a fair number of huge pine, walnut and oak trees, plus cottonwood, maple, elm, redbud and apple trees. You might think that moving to rural Oklahoma would present problems of boredom for me, but there is a lot to do here. 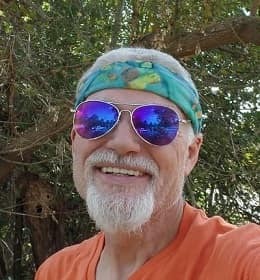 Connie and I like to get out into nature, and we've spent some time exploring the hills and rivers to the south, and the ancient Ozark Mountains in nearby Arkansas. Oklahoma has more man-made lakes than any other state in the USA, with 2000 miles of shoreline and over one million acres covered by water. Since Connie likes to fish, I'm sure we made the right choice. We're enjoying our time, and I'll be posting more of our photos and videos here soon.